Queen duvet cover (88" x 88") featuring the image "Dominica North Atlantic Coast" by Ian MacDonald. Our soft microfiber duvet covers are hand sewn and include a hidden zipper for easy washing and assembly. Your selected image is printed on the top surface with a soft white surface underneath. All duvet covers are machine washable with cold water and a mild detergent. 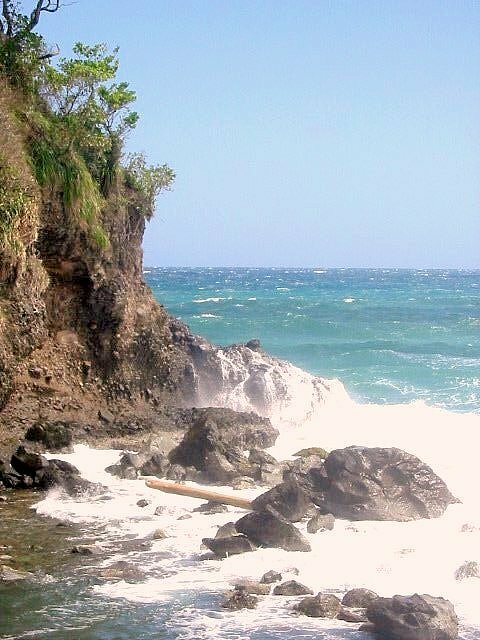 There are no comments for Dominica North Atlantic Coast. Click here to post the first comment. Only one giclee print of this image will ever be created. Your purchase of this unique giclee print gives you the exclusive rights to that image, including the right to reproduce the image and sell it. I will send you the digital file that created the print, after you notify me that you have purchased the giclee print. The image will then be removed from the Fine Art America website. It is your image to do with as you please. Include it in your will. Give it as a gift. Use it in advertising. Sell postcards of it or just enjoy the fact that no one but you has access to this image.